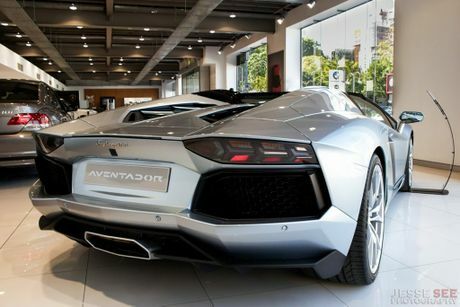 The 2013 Lamborghini Aventador LP700-4 Roadster. THIS s on one of the most beautiful cars I have ever seen, the 2013 Lamborghini Aventador LP700-4 Roadster. This beast is equipped with a mid-rear mounted 6.5-litre, 48-valve 12-cylinder engine that can produce up to 515 kilowatts (700 horsepower) at 8250rpm and 690 Newton metres of torque (507 pound-feet of torque) at 5500rpm. This engine was made brand-new from scratch specifically for the Aventador, and this is surprising since all of its predecessors actually featured the same engine. This may make you think that the ISR transmission would shift much slower than a double-clutch gearbox, but you would be wrong. It is actually one of the fastest shifting transmissions available in a road car, with a time of just 50 milliseconds (0.050 seconds). This is quicker than the blink of an eye. The Aventador Roadster has a dry weight of just 1625 kilograms, which is just 50 kilograms heavier than it's coupe counterpart. Usually convertibles are much heavier than their coupe siblings, but since the Aventador Roadster doesn't have an electric folding roof, it means it's heaps lighter than conventional convertibles. You can store the two carbon fibre roof pieces in the specific slots in the front storage compartment, and unlike the previous Murcielago Roadster, it doesn't take an army of men 30 minutes to apply. In a minute or two, you can install the roof yourself, as each roof piece only weighs about six kilograms. All of these specifications allow the Aventador Roadster to launch from 0-100 kilometres per hour (0-62 mph) in just 3.0 seconds, and it will keep accelerating until it reaches its top speed of 350 kilometres per hour (217 mph). This makes the Roadster 0.1 of second slower to 100 kph than the coupe, but it has the same top speed. Some other features that this Aventador Roadster is equipped with includes stunning Azzuro Thetys metallic paint, rain sensing wipers, a matte black removable hardtop, 20-inch front and 21-inch rear Dione forged alloy wheels, a transparent engine bonnet, a carbon fibre engine T, parking sensors and a rear view camera, four-wheel ABS as well as traction and stability control, bi-xenon headlights, a 'Sabbia Neferten' coloured Elegente interior, electric and heated seats, a 'Sensonum' premium sound system and much more. 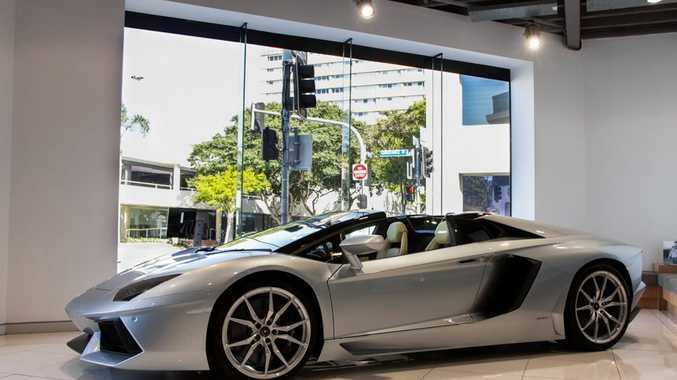 You can currently buy this exact 2013 Lamborghini Aventador LP700-4 Roadster from Lamborghini Brisbane for $907,543, and for more information about this vehicle please contact them through their website.